Best Charcoal Products in India: Detoxify Your Skin with Activated Charcoal! Have you tried activated charcoal in your skin care regime? At present, activated charcoal has become every beauty guru’s favorite for its amazing benefits on skin and hair. This holy grail ingredient acts like a magnet and pulls out toxins from your skin and promotes healthy skin cells. The top benefits of activated charcoal are that it sloughs off the dead skin cells, unclogs the pores, removes deep-seated dirt, grime, soaks excess sebum from your skin and even treats acne. Apart from skin care, you can even use it in your hair care routine- it deep cleanses the scalp and adds volume to your tresses. Motivated to use? Then we would love to tell you that charcoal only absorbs impurities and doesn’t rob the nutrients from your skin. 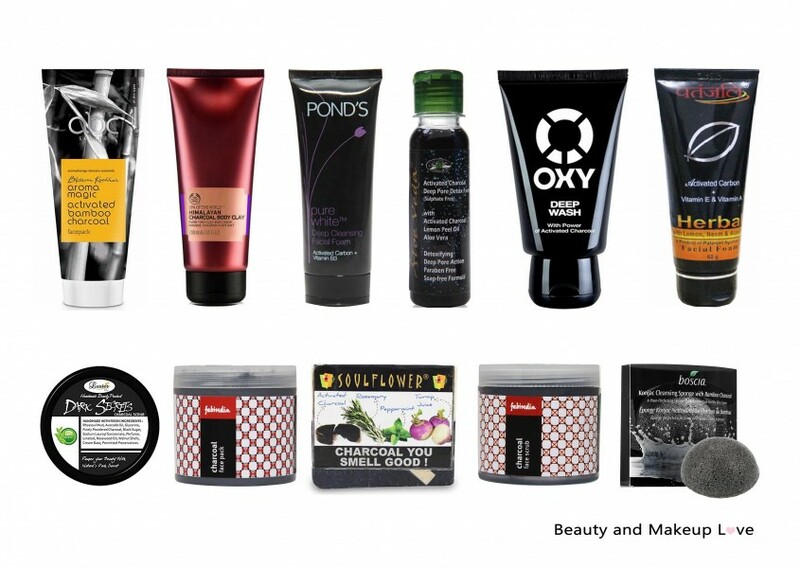 By now, we are sure you are excited to use activated charcoal, so let’s dive into the top products that are infused with the goodness of activated charcoal. Continue reading Best Charcoal Products in India: Detoxify Your Skin with Activated Charcoal! Posted on October 9, 2016 October 22, 2016 Author PriyaCategories Best of the BestTags Best Charcoal Face Packs, Best Charcoal Face Scrub, Best Charcoal Face Wash, Best Charcoal Products, Best Charcoal Products in India, Charcoal Based Products, Charcoal Face Wash, Charcoal for Skin Care, Charcoal Packs, Charcoal Products, Charcoal Products for Blackheads, Charcoal Products for Dull skin, Charcoal Scrub, Charcoal Soap, Patanjali Activated Carbon Face Wash, Top Charcoal Products2 Comments on Best Charcoal Products in India: Detoxify Your Skin with Activated Charcoal!